As the unofficial capital of the Scottish Highlands, it makes sense that the North Coast 500 (NC500) road trip starts in Inverness. Known as much for its pretty facade as it is for its close proximity to Scotland's most rugged landscapes, Inverness has gone from the site of many a historic battle to an industrial port-town, to a thriving hub for tourism and major student city, proving itself one of Scotland's most dynamic urban centres in the process. Only actually made a city in 2000 to mark the dawn of the new millennium, it is now one of the fastest growing in Europe and, according to the UK's Office of National Statistics, one of the the happiest. Catch the earliest flight possible - the more time you have here, the better. It's best to pre-book your car hire in advance and collect your vehicle at the airport, as you're going to need it from the very first day. Inverness Airport currently has booths for Avis and Europcar, and although airport collection can often work out more expensive, a taxi to the city centre (9 miles away) costs approximately £20 anyway, so you may find that the difference isn't that huge. Once you've collected your ride for the week, let's get going; head into town, check into your hotel, put down your bags and then get straight back in the car - there's exploring to be done. First built as a response to the Jacobite Rising of 1745, the star-shaped Fort George has all the ingredients for an impregnable fortress: positioned on a patch of headland that juts out into the choppy waters of the Moray Firth, it is protected by steep sea walls on one side, lined with cannons, has underground bunkers for the safety of its troops and possesses a 1km rampart, enclosing an area the size of five football pitches. 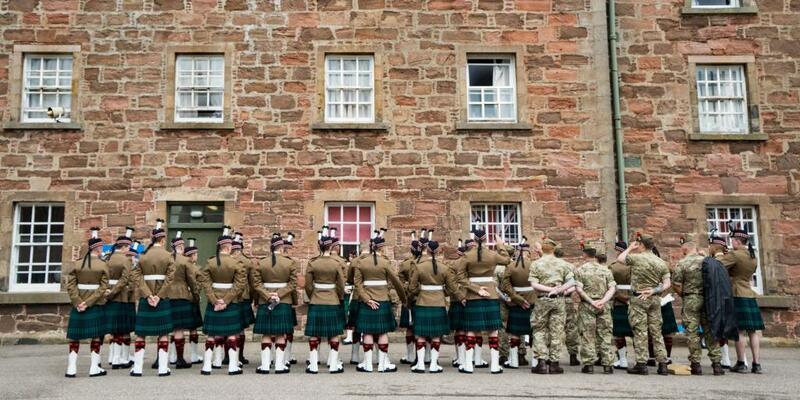 Just a 25-minute drive northeast of Inverness, a trip to this mighty stronghold provides a fascinating insight into Scottish military life, past and present. Although Fort George has never actually been attacked (you wouldn't win, let's be honest), don't be surprised if you see a soldier or two walking about the place - it's still used as a barracks today. Nonetheless, much of the site is open to the public and visitors can learn about the history of the fort, step inside the garrison chapel and pay their respects at the dog cemetery, the final resting kennel of the regimental mascots. The Highlanders' Museum, which is located on-site, contains an extensive collection of items relating to the regiment such as uniforms, weapons, medals including Victoria Crosses, items from World War I and over 10,000 documents and photographs. Less than 25 minutes south of the city centre, and an hour or so away from Fort George, sits Loch Ness, the largest loch in the whole of the UK and reputed home of the legendary Loch Ness Monster - or Nessie, as the locals like to call her. Rumours of a mythical beast living here stretch as far back as 600AD, but the creature was only really brought to public attention in 1933 with the publication of "photos" of Nessie, which were later proven to be a hoax; nonetheless, since then crowds have flocked here hoping catch a glimpse of her humps. Along the banks of the loch sit the ruins of the much fought over Castle Urquhart, once one of Scotland's largest and grandest castles. Spend a minute or two pretending to be a Scottish laird, wandering over the bridges, underneath the arches, and between the battlements and prison cells. 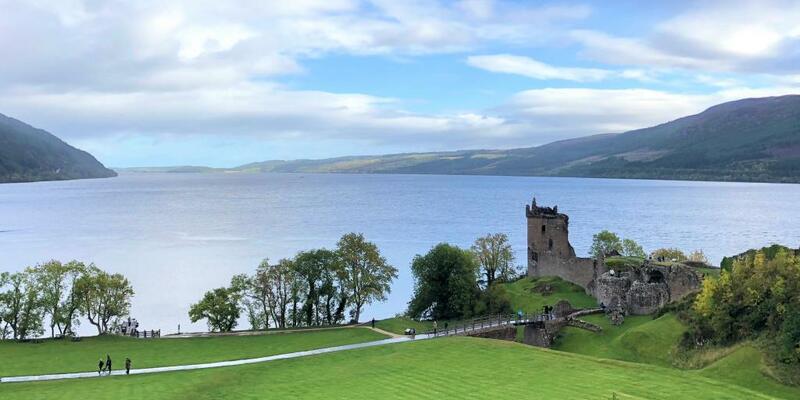 Now you've (hopefully) spotted Nessie and got a feel for Scotland's military past, it's time to head back to Inverness, park up and explore the city itself. 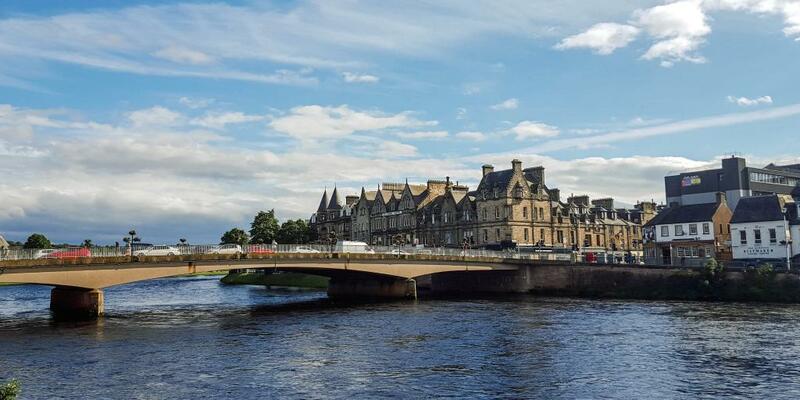 Built around the River Ness, it's easily walkable, with pretty waterside paths, grand old buildings including St Andrews Cathedral and Inverness Castle, and plenty of cafes to stop off at along the way. Although the castle is not open to the general public - it's still used as a Sheriff's Court - the north tower contains a viewing platform that offers a superb view over the city. 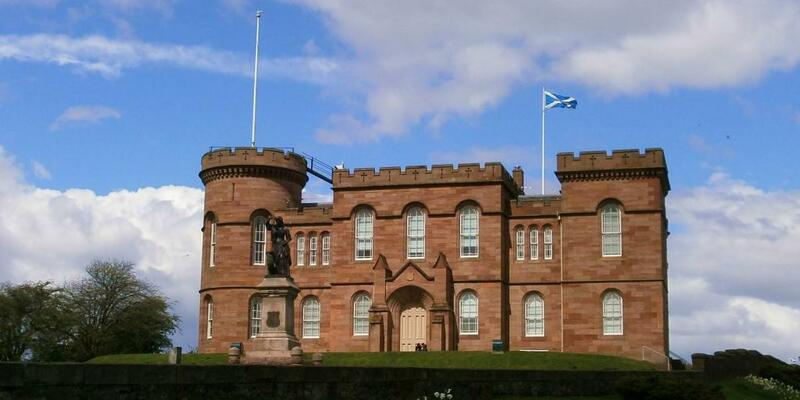 Don't miss the Inverness Museum and Art Gallery, which will set you up with a useful understanding of the heritage and culture of the Scottish Highlands for the trip ahead. Top tip: Many of the hotels in Inverness offer free parking for guests, but if you did need somewhere to leave the car then the Rose Street multi-story car park is affordable (£7 for 24 hours), secure and centrally located. In recent years Inverness has gained an increasingly strong reputation for its culinary scene and to say that it boasts more dining options than other towns on the North Coast 500 is quite the understatement, so all the more excuse to feast while you still can. The Kitchen Brasserie often requires booking in advance thanks to its riverside location, fish dishes and delicious desserts, although if you're in the city on a Friday then make it the tiny River House Restaurant, where fresh oysters are just £1 a pop between 17.30-18.30. While many roadtrippers choose to follow the North Coast 500 in a clockwise direction, we recommend doing the opposite, so that the hairiest lanes are at the end of the route, but more on that later. Driven straight, the journey from Inverness up to Thurso would only take between two and three hours, but there's so much to see along the way that you should allow a whole day. Dominated by lush, gently rolling farmland, and a haven for woodland wildlife, the Black Isle isn't necessarily what you picture when you think of the Scottish Highlands. Just across from Inverness via the Kessock Bridge, it's not actually an island but a peninsula, and with so much to do it's worth veering off the A9 and taking a detour for; among the highlights is Chanonry Point, one of the most reliable places in the UK for dolphin spotting. 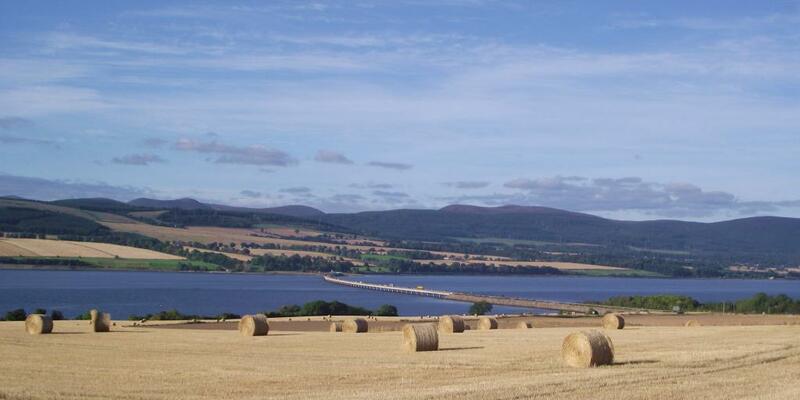 There are also numerous food and drink attractions on this strip of land, including the Black Isle Brewery and one of Scotland's oldest distilleries, Glen Ord. Both of these establishments offer tours, but it will have to be the passenger(s) doing the taste tasting for now - at 0.5mg, Scotland has a lower driving alcohol limit than the rest of the UK, with strict penalties for offenders. After exploring the Black Isle, follow the A9 north then continue on to the A99 to reach our next stop of the day, the Whaligoe Steps. A set of 365 perilously steep stairs leading down to a craggy natural harbour that is sheltered between two steep cliffs, where fishing boats would once have landed their catches, they were carved by hand into the rock in the late 18th century. Walk to the bottom and back up again, and (in between all of your wheezing) spare a thought for the Whaligoe fisherwoman, who would have trodden this same path carrying heavy wicker baskets full of herring unloaded from the boats. Afterwards, reward yourself with some lunch and a cuppa in the cafe at the top. Moving further north and passing through the town of Wick, taking a detour to visit the decrepit Castle Sinclair Girnigoe if you wish, the next stop on this Scotland road trip route is John O'Groats. 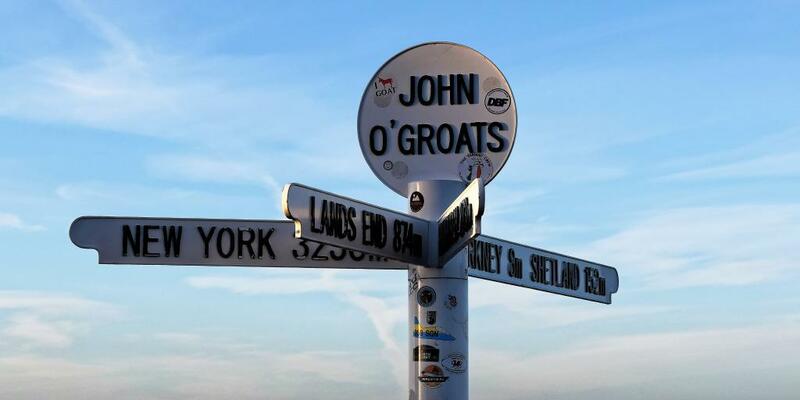 Famous for being at the northern end of the two furthest apart inhabited points of the UK, its iconic signpost attracts thousands of tourists every year, not to mention jubilant cyclists and hikers completing the trek from one to the other. Unfortunately, the town itself is depressingly drab, so we'd suggest getting in, getting the obligatory snap and getting back on the road again. The next stage of today's drive will, eventually, take you into Thurso, but first there's one more stop to make. If you've ever watched The Crown, you'll have heard the story of how Queen Elizabeth the Queen Mother purchased a ramshackle castle after the death of her husband, George VI. That castle is where we're aiming for: The Castle of Mey. Initially built in 1572, it was purchased and restored by the Queen Mother in 1952, and functioned as a much-loved royal residence for over 40 years. Today it still holds a place in royal life, closing to the public for a period of 10 days every July when Prince Charles and his wife Camilla come to stay. After you've checked into your accommodation in Thurso you'll no doubt be looking for something to do with your evening. Unfortunately, in a town as quiet as Thurso there's not a lot going on after dark, but if you're visiting in autumn or winter then Mother Nature may well throw you a party instead. 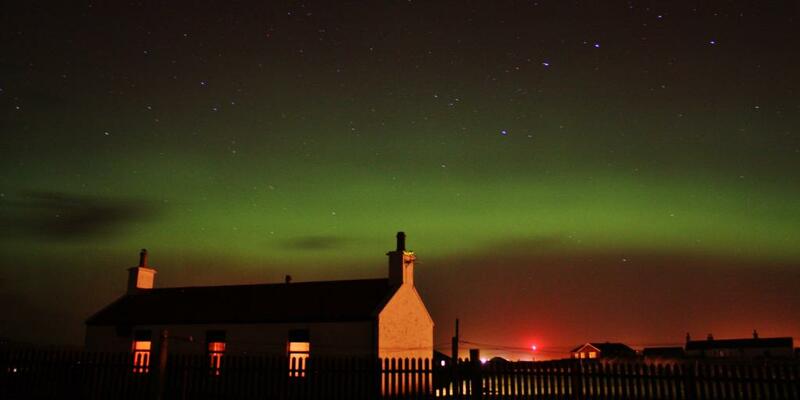 On clear nights during these months, the north coast of Scotland is often treated to the Northern Lights, with colourful natural displays lighting up the night skies. From Thurso, a great spot to watch is the beach at the tiny village of Castletown, about a 10-minute drive away. Top tip: When going to see the Northern Lights, have your camera ready - they're sometimes actually clearer when seen through a screen. Outside of these seasons, you're very unlikely to witness them, so instead treat yourself to a meal at Bydand, a restaurant that looks suspiciously like a hairdressers from the outside but actually serves traditional Scottish food with quirky twists. After yesterday's many stops, today is going to seem considerably calmer as Scotland's north coast has fewer physical attractions, but a plentiful supply of beautiful, if blustery, beaches to enjoy and that starts right here in Thurso. 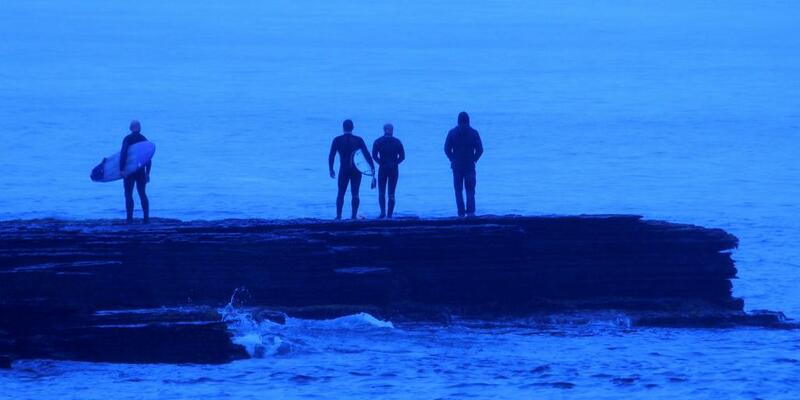 Nothing will shake you awake like a sea breeze, so enjoy an early morning run on the beach or, if you've got a board and a wetsuit with you, brave a very icy dip. Over the last few years the town has become respected by surfers for its phenomenal right hand break and insane barrel, but do note that the locals are notoriously intolerant of snakers - provoke them at your peril. When you're done, go into town to refuel with a leisurely breakfast, then start working your way eastward along the coast. Before you leave, it may be a good idea to top up with fuel and car snacks; Thurso has a Tesco and a Lidl, but they're the last supermarkets you are going to see for a while. Just under 30 miles from Thurso you will find Strathnaver Museum, which tells the story of the Highland Clearances - the forcible eviction of families from this area during the 18th and 19th centuries - from the former church in which those affected would have been told of their fates. Shedding light on this turbulent period of Scottish history and the lives of the Mackay Clan, it's a "don't miss" as far as understanding the area is concerned. The museum is really made, however, by the friendly and knowledgeable volunteers who bring such a human connection to the stories. Afterwards, stretch your legs a little more with a stroll on the beach at the breathtaking Farr Bay, above which the museum is situated. Strathnaver Museum is closed during the winter months, but visits can be made by prior arrangement so check their website for more information. A little more driving should bring you along to Coldbackie Beach, a quiet, pristine stretch of sand that looks out over peacock blue waters towards the Rabbit Islands and the Orkneys. Make this your next beach break or stop off at Weavers Cafe, just on the side of the main road, for a tasty lunch and a slice of cake. 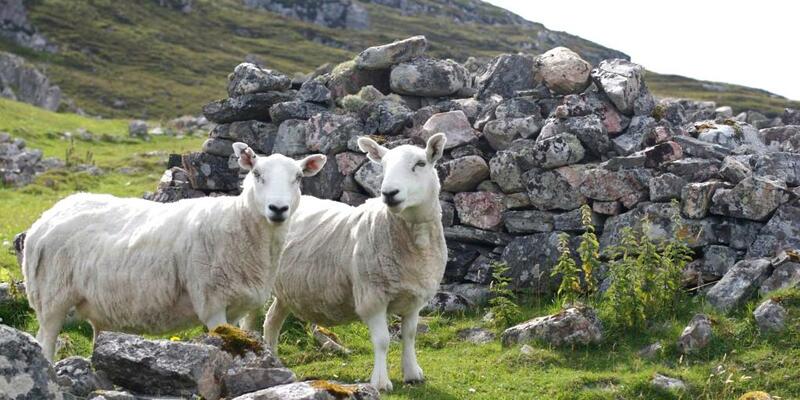 Afterwards, take the A838 eastwards, crossing the Kyle of Tongue bridge and continuing on this road, which will take you around the hilly outskirts of Loch Eriboll. 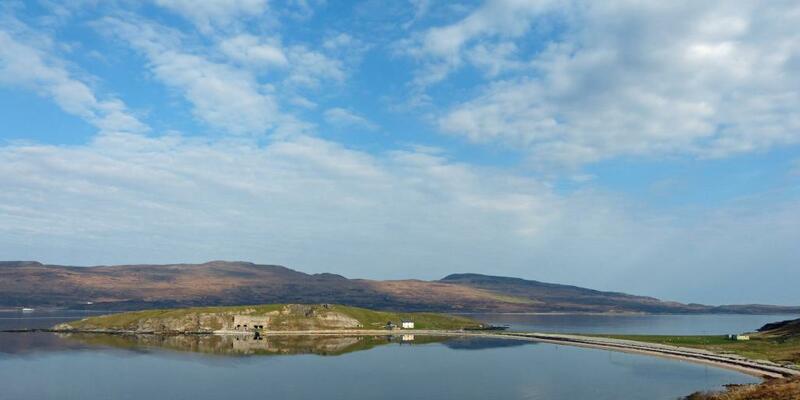 There's not a lot surrounding this remote loch, other than the Ard Neakie lime kilns, a relic of 1840s industry and a wild terrain - but that's precisely the beauty of it. Further along, the Ceannabeinne Township Trail takes visitors around the ruins of the town of Ceannabeinne, which was deeply affected by the Highland Clearances. Starting from a gravel lay-by just off of the A838, a series of information boards chronicle how the population here fell from approximately 50 people in 1841 to precisely none the following year, and tells the story of the Riot of Durness, when the women of the village attempted to defy the order to leave. Taking around 45 minutes to complete, it's a poignant trail with sensational views over Tràigh Allt Chàilgeag, although note that it may be challenging for those with mobility issues. About a mile before you get into Durness, you'll come across Smoo Cave, believed to have been used as everything from a Stone Age dwelling to a smugglers' hideout, and now known for its roaring waterfall. Formed by the gradual merging of two separate chambers - one caused by rainwater dissolving the stone, the other by erosion from the sea - it's geographically unique within the UK. Another chamber, beyond the waterfall, is accessible by boat in good weather. From the car park at the top, descend the set of stairs that take you down to the mouth of the cave and step inside, but bring a poncho, because the spray will hit you! 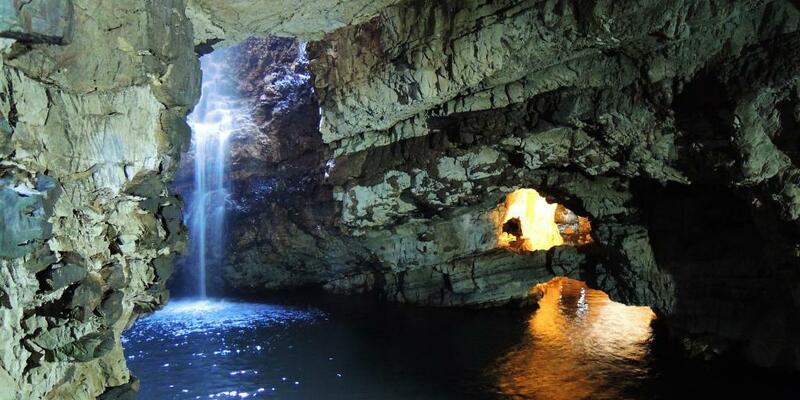 Smoo Cave is open all year and free to enter, with tours taking place from April to September. 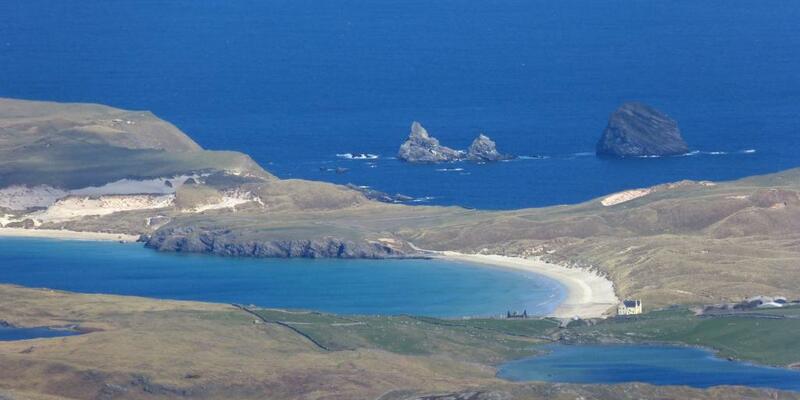 When you arrive into Durness, check into your accommodation, park the car and get walking. From Durness it's a pleasant 20-minute stroll (or 5-minute drive) along to Balnakeil Beach, a little slice of paradise that - if it weren't for the wind - could been ripped straight from the pages of a travel brochure. 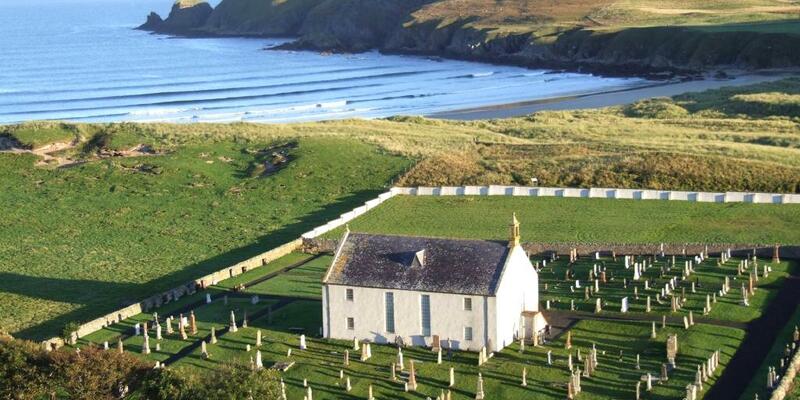 Soak up its moon-shaped bay, turquoise waters, spotless white sands and rolling dunes, then wander over to the dilapidated Balnakeil Church, which has a graveyard with some intriguing memorials, some dating back to the 1600s. 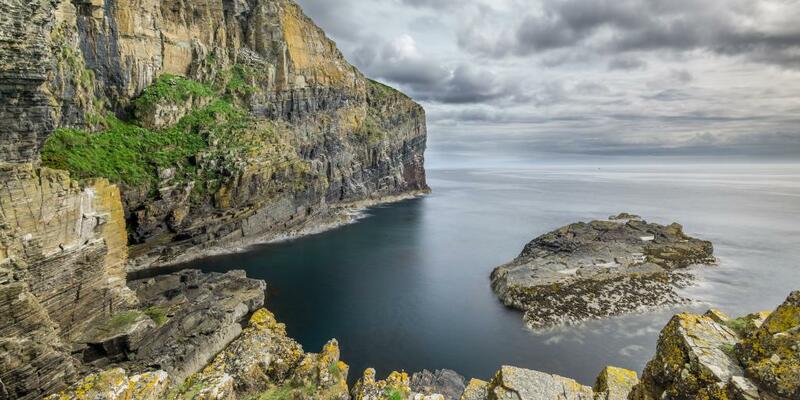 If you're still feeling sprightly, we recommend taking the roughly two-mile walk along the coast to Faraid Head, a rocky headland overlooking Cape Wrath. This whole area is a haven for wildlife, so keep your eyes open for nesting seabirds (including a small colony of puffins) as well as seals playing in the waters. As far as places to warm up after your walk go, there really is only one contender: Cocoa Mountain, in Balnakeil Craft Village. We're not joking when we say that this small chocolatier serves the best, most gooey, frothy hot chocolate, and even does scrumptious truffles, chocolate-themed pastries and cakes to go with them. If there's one guilt-free gluttony stop you make during the NC500, make it this. Be sure to stock up on sweet treats for the rest of your journey too. If you fancy a little souvenir shopping, the village also features a number of other shops selling products made by local artists, including artworks, crafty bits and ceramics. Not to be harsh, but to say that dinner options are lacking in Durness is probably being kind, as there are just a handful of restaurants - at the end of the day, while this is one of the bigger villages on the north coast, it's still only home to about 400 residents. The Smoo Cave Hotel, located next to Smoo Cave, is the better choice and has pub grub staples including fish n' chips and pie. While the east coast of the NC500 route has many of the landmarks, and the north coast has the beaches, it's fair to say that the west coast is where the landscape is most spectacular - just in case you haven't been impressed enough by Scotland's beauty so far. More than likely, you've exhausted Durness' to-do list by now, so leave as early as possible, going southwards on the A838 and eventually joining the A894 just after you cross the stone-arched Laxford Bridge. 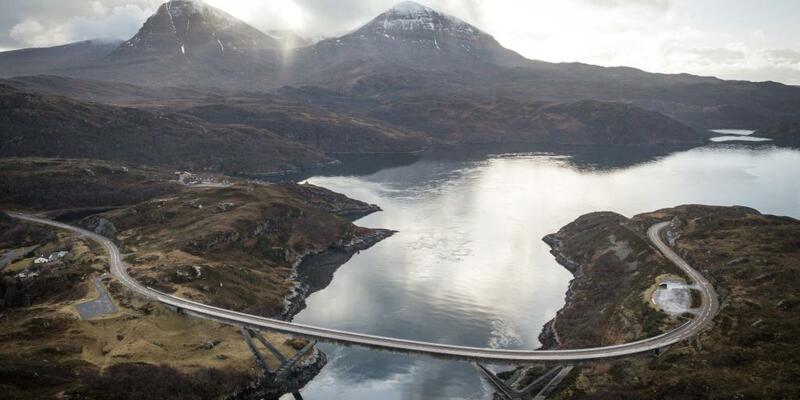 Coming up not long after is the Kylesku Bridge, a vast curved crossing above Loch a' Chàirn Bhàin that has become an attraction in itself and was even featured in a 2015 IKEA advert. The brainchild of Ove Arup, the same engineer that came up with the Sydney Opera House, it is super modern and yet has been crafted to fit into its surroundings - unusually for a concrete bridge, it's a lot of fun to drive across! Next, take the B869 across to Drumbeg, where tea, cake and scones await at The Secret Tea Garden, part of the Assynt Aromas candle shop. Tuck in, but do try to resist the temptation to eat too much as the remaining stretch of the B869, down to the village of Lochinver, is a real stomach-churner. Dubbed the "Wee Mad Road" by locals and blessed with views that will make you want to stare out the window but switchbacks so sharp you'll need eyes on the prize, it's a hairy single track route with a number of steep inclines. If you do need to rest your nerves along the way then stop off for a walk on Achmelvich Beach, which could give Balnakeil a run for its money. When you do get down to Lochinver, make a beeline for Peet's restaurant, whose venison stew will make the drive more than worthwhile. 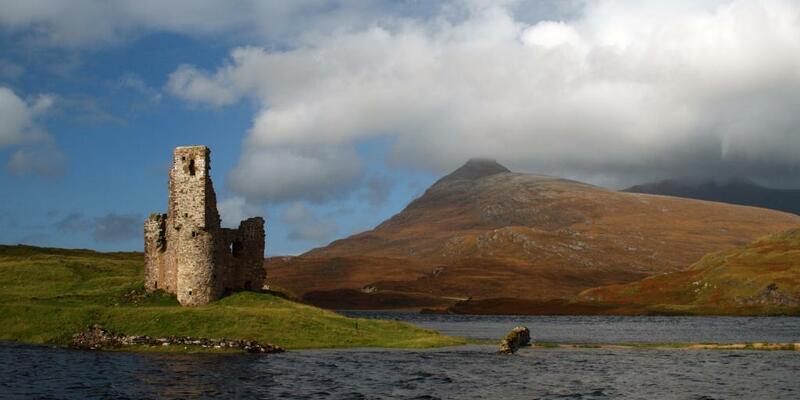 We're now heading towards Stac Pollaidh mountain, but first stopping at Ardvreck Castle, a ruinous former residence of the mighty Macleod family, which is perched on a patch of land that sticks out into the mountain-framed Loch Assynt. 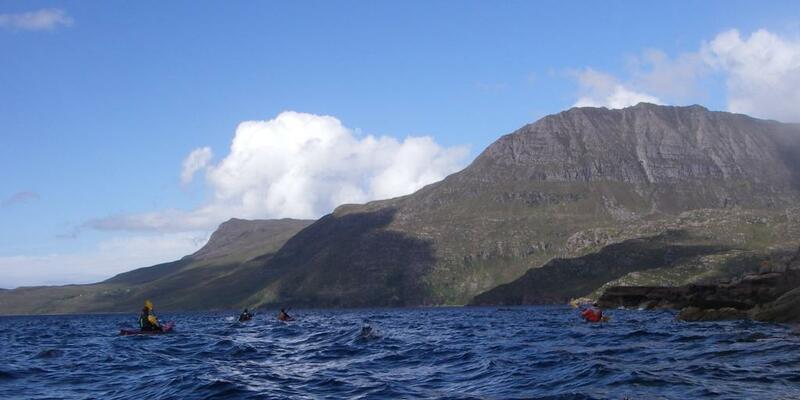 Legend has it that the loch is haunted by the Mermaid of Assynt, the lost daughter of one of the castle's former inhabitants, who for many years was blamed by locals for anything that changed in the area. You could take a more direct route down to Stac Pollaidh by following the road that passes through Inverkirkaig and grazes the northern shore of Loch Bad a' Ghaill, but for the extra 20 minutes or so the beauty of Loch Assynt merits a detour. Flat-topped and standing proud amid a backdrop of small lochs and wide empty space, Stac Pollaidh is a 612-metre-tall mountain that seems purpose-made for a spot of impromptu climbing; a ramble to the top and back down again takes a manageable three hours or so, isn't too strenuous and follows a well-trodden path, although it's a short and slightly more challenging scramble to top of the ridge itself. Offering glorious panoramic views of the surrounding landscape and of one of Scotland's most distinctive mountains, Suilven, it's a rewarding but realistic hiking option and it would be a real shame to miss it. The journey to the Stac Pollaidh car park should take about 30 minutes from Ardvreck Castle - when you get there, park up and go through the gate across the road, which will take you upwards into open moorland and onto the main path. Another 15 minutes or so on the road will take you into the pretty waterside village of Ullapool for a much needed shower and sleep. Before you do call it a day, seek out the Arch Inn restaurant for a thoroughly Scottish dinner of cullen skink, a chunky soup made from haddock, potato and onion. Alternatively, opt for some old school soul food by heading over to Deli-Ca-Sea, a chippie where everything is made fresh to order, then sit on the sea wall and scoff it all down. Their pickled eggs are pretty special too! You've probably heard the old adage that dictates that life is about the journey, not the destination? Well, today is the embodiment of that. Traversing through glens, past lochs, along the coast and eventually ending up in the remote town of Applecross, today's drive showcases the best of untamed Scotland - expect to see stalking deer and get held up by Highland cattle along the way. Top tip: Do stock up again on those road trip essentials and fill up with fuel while you're in Ullapool, because the next part of the journey is even less well-served. Before you leave Ullapool, however, there's just one more thing to do and that is to get out on the water. A totally different way to see the Scottish coastline or inland lochs, kayaking offers endless opportunities for wildlife spotting, with jellyfish, seals and seabirds all regularly spotted here. During the summer months, Norwest Sea Kayaking offer full and half-day trips for everyone from total beginners to seasoned pros, and provide homemade cakes and hot drinks for when you get out the water! Start off by following the A835 south from Ullapool, taking a right turn onto A832 after roughly 12 miles, at the sign towards Dundonnell and Gairloch. Here, you could choose to make a quick stop at Corrieshalloch Gorge, a nature reserve with a Victorian suspension bridge and plunging waterfalls, before continuing on around the coast. When you get to Gairloch stop for lunch, as it offers the biggest selection you're going to find for miles, including pub grub at The Shieling Restaurant or steak sandwiches, falafel flatbreads and warming soup at Coast Coffee Company. 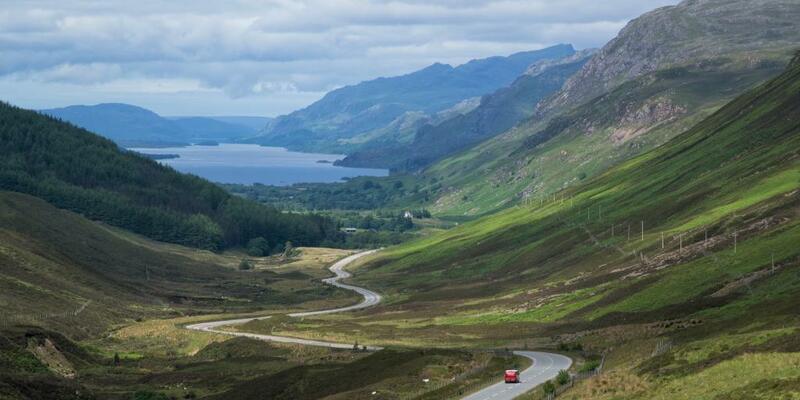 The section of the A832 from Gairloch to Kinlochewe is a scenic and for the most part relatively easy drive, running in part along the shore of Loch Maree and offering glimpses of the Slioch mountain through the trees. Although it's not technically necessary, when you get to Kinlochewe do continue on this road for a few more minutes to visit the Glen Docherty viewpoint - the vista of the twisting road below is worthy of a 90s album cover. Continue on to Torridon via the A896, enjoying the sights of the Beinn Eighe National Nature Reserve, before passing through Glen Torridon then winding through woodland near Annat. Onward you go towards Shieldaig, shortly after which the road splits - take the unnamed single-track route to the right, which more or less hugs the water and gives life to the small coastal communities along the way. Along the way, make a pitstop at the Applecross Smokehouse, where they produce smoked fish, cheeses, oatcakes and sauces, made using whisky-soaked oak shavings. Rather than stopping in Applecross straight away, continue past it for 1.5 miles down to the Applecross Photographic Gallery, which is run by local photographer Jack Marris and exhibits photographs of magical mountain-top sunrises. 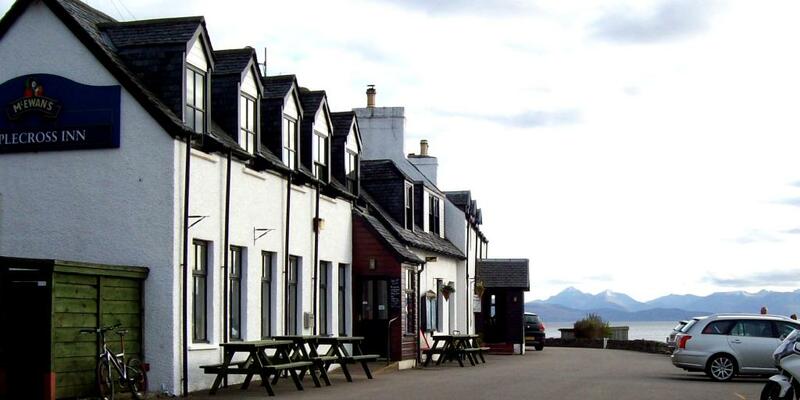 When you're back in the village, find its real heart inside the cosy Applecross Inn, having dinner and a pint with the locals before retiring for the night. Sleep well - you're going to need to bring your A-game tomorrow. You've had almost a week of practice and now it's time for the ultimate Scottish road trip experience: the notorious Bealach na Ba. 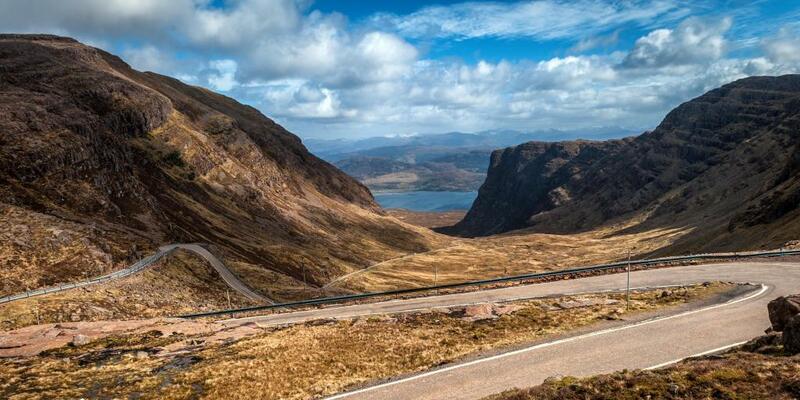 If you thought the "Wee Mad Road" was a challenge, then this stretch between Applecross and Loch Kishorn is something else - a narrow single track loaded with steep climbs and hairpin bends that seem to stack on top of one another. If you're of a nervous disposition, a new driver, have any hangups about your reversing skills or the weather is bad, then this route probably isn't the best choice; instead take the A896 north and along to Shieldaig, before cutting back down. During winter, the Bealach na Ba is often closed for extended periods due to snowfall, so check online before you travel. Although the driver will almost certainly be too busy concentrating to really take it all in, the landscape around Bealach na Ba is nothing short of spectacular, with jagged cliffs and calm lochs, and the weaving road below, as well as the chance to spot more Highland cows and wild deer. At its highest point, 2053 feet above sea level, there is a viewpoint that comes complete with a plaque pointing out the local landmarks visible in the distance. 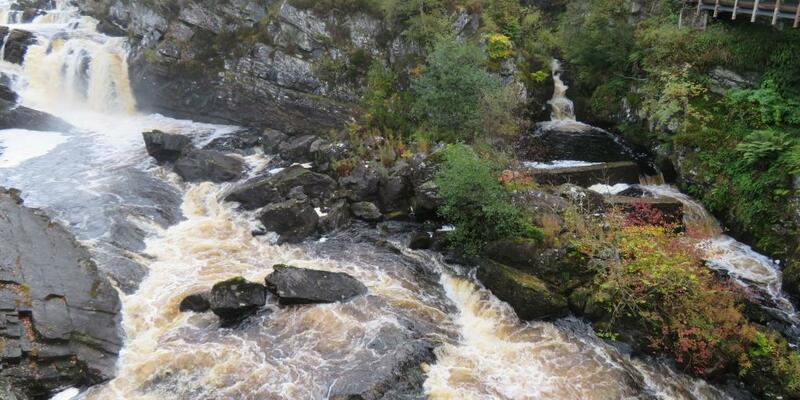 Along the side of the A835, which you will join at Garve, is the fearsome Rogie Falls, famous for leaping salmon and surrounded by lush forest with a number of waymarked trails. Follow the Salmon Trail (20 mins) to a suspension bridge over the river which allows you to stare into the mouth of the beast, or take the Riverside Trail, a longer and more strenuous circuit (50 mins) starting from the viewing platform beside the falls and travelling along the banks before cutting through pinewoods, where you're likely to see deer and red squirrels. Wellies are optional, but recommended! After almost a week of hamlets and tiny villages, Inverness is going to seem like a giant playground, so go full-on hedonist with an afternoon of last minute gift shopping and making the most of Inverness' sterling food scene (if you haven't tried cranachan yet, do). Return the car to Inverness Airport and catch a late afternoon flight home. If you're continuing on the road, feel free to carry straight on to your next destination - the popular town of Aviemore is just 45 minutes south, Dundee is approximately 90 minutes away, and the "granite city" of Aberdeen, is less than three hours away. We hope you've enjoyed your wee trip around Scotland! 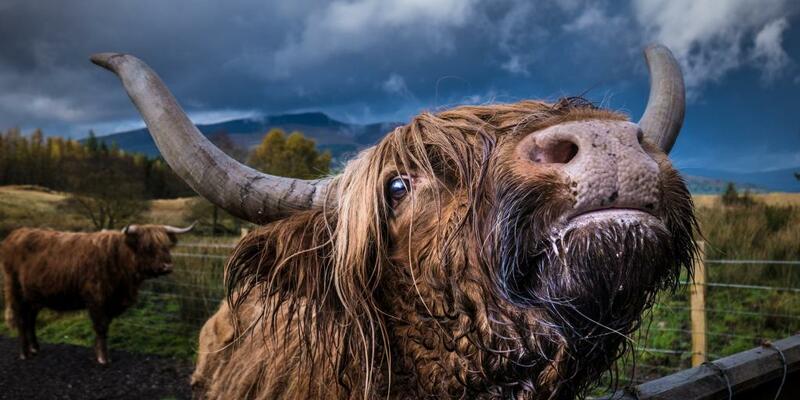 Generally, the best time to take a road trip in Scotland is between April and early October. Once the snow starts, those single track roads feel increasingly precarious and many routes, including the Bealach na Ba, are frequently closed. Many of the NC500s attractions are also seasonal and do not open at all in the winter months. That said, with the increasing popularity of the NC500, it's also best to avoid the height of summer if you are able to, because reversing isn't so fun after the 100th time.